Watch out, summer-loving readers: This edition of ParentMap's Family Adventure Guide makes a series case for the candidacy of winter as everyone's new favorite season. 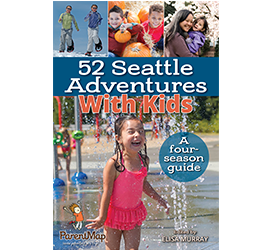 Whether you’re visiting Puget Sound for a few days or settled in for good, you’ll find something new to do in ParentMap's annual Family Adventure Guide. This year's winter edition includes everything from a handy list of the best parks for puddle-jumping to off-the-radar tours to keep your visitors busy during the holidays to fantastic snow towns for ski adventures.